A Nevada Bar Owner & A Person who was once paid by a mobster to be honored U.S Govt. In the next three weeks the U.S. Post Office is going to honor a former employee of Bugsy Siegel with a forever stamp, and the U.S. Mint is going to honor a former Henderson bar owner with a dollar coin. Using the well-established formula which, with mathematical certainty, which states (3°+6° = N°) Nevada is only nine degrees away from anything, two more examples surfaced will be available to the public in the next three weeks. 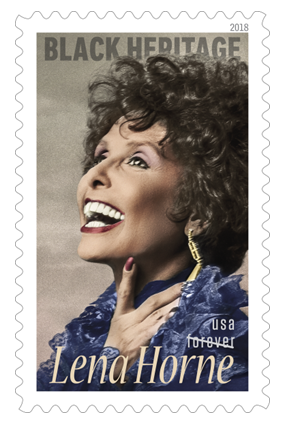 First, a United States forever stamp will go on sale next Tuesday, January 30th honoring Lena Horne. It would take Las Vegas a couple of decades to hear Horne, beyond her music, but she opened more than a stage door in January of 1947 when she appered at the Flamingo Hotel. Suggested reading, would start with “Stormy Weather: The Life of Lena Horne” by James Gavin, and “Lena” an autobiography. Also suggest you find a copy of the movie, “Stormy Weather,” the magic is there. Jim Thorpe, the Nevada Connection. Jim Thorpe, for a period of time, also owned a bar in Henderson where there is an elementary school named in his honor. (Wonder if school will do anything special when new dollar come out?) Henderson, honoring the great Thorpe. It includes this odd fact Thorpe was “the only player to ever hit 3 home runs into 3 different states during the same baseball game.” When there is time, will find out how that occurred. “He won two gold medals for the U.S. in the 1912 Olympics that took place in Sweden. His gold medals were for the decathlon and pentathlon. After the Olympics, he went on to play both professional football and professional baseball. He is one of only a few men to ever achieve that accomplishment. Earl wrote in part, a year after Warner Brothers released a film on his life, “Jim Thorpe – All American,” starring Burt Lancaster Thorpe moved to Clark County. In advance of the opening, Thorpe sent out invitations, on coasters, to the “Grand Opening.” A recently discovered coaster now in the CH collection. Earl’s research revealed a meeting in Las Vegas between Thorpe and President Eisenhower. 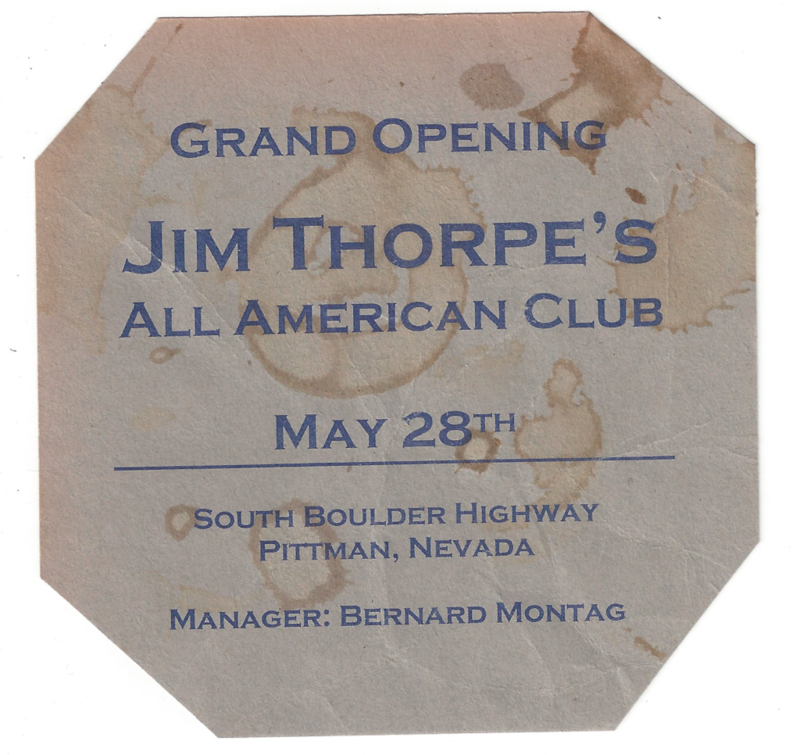 When the bar’s manager, Montag died in an automobile accident on the Las Vegas Wash road, Thorpe and his wife told the club in September of 1952. Less than a year later, Thorpe died of a heart attack in California. On March 28, 1953, Jim Thorpe died of a heart attack in Lomita, California. He was 65 years old. Notes from the U.S. Mint announcement, “WASHINGTON – The United States Mint (Mint) officially announced the reverse (tails) design of the 2018 Native American $1 Coin. 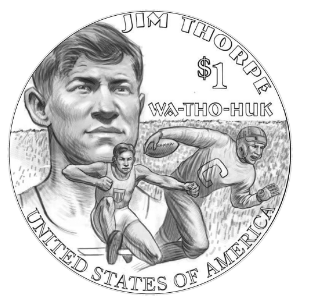 The coin’s theme pays homage to sports legend Jim Thorpe. From the mint’s series of quarter dollars for each state, to stamps Nevada has found its way on to official coin of the realm. Coming up on CaptainHistory.Com the story of a Nevada stamp that was delayed because of the assassination of a U.S. governor, and a current multi-million dollar suit involving a U.S. stamp, the Las Vegas Strip, and the New York Harbor. [iv] Could not find Earl’s “This is Nevada” story on Jim Thorpe. This is a copy from Captain History’s files.